Every business owner in the modern age recognises the importance of online presence. Never underestimate the power of a great website when it comes to getting your business off the ground. Modern customers turn to the internet for everything. If you don’t have a website they can browse, you’ll lose a significant amount of interest. Every business owner in the modern age recognises the importance of online presence. Never underestimate the power of a great website when it comes to getting your business off the ground. Modern customers turn to the internet for everything. If you don’t have a website they can browse, you’ll lose a significant amount of interest. Getting to grips with the website world can be a challenge if it’s new to you. Take a little time to work out how to make your website the best it can be by following these tips. A good domain name is the first thing you need to get a handle on. Once you’ve got your business name in mind, this will be a lot easier to find. Bear in mind that many domain names are already taken. Don’t settle for an alternative that includes a stream of numbers customers won’t remember. The shorter and snappier your domain name, the better. It might be worth checking which domain names are available before deciding. There are many domain name checkers out there which can show you whether you’re onto a winner. Ensuring your website is easy to navigate is essential. Online consumers search quickly, and your site needs to impress in a short amount of time. Don’t overload your site with unnecessary information. Ensure there’s clear navigation to each page. Put an overview of the services you offer on the main page, but keep it brief. If confronted by pages of information, customers will click straight off your site. Think of this as an elevator pitch. You only have the space of an elevator ride to sell your business. What would you say? Optimising your site for search engines will draw in a lot of traffic. Traffic is what you’re after. It’s a vicious cycle – the more traffic you get, the higher you’ll appear on search engines. But, how do you get the traffic in the first place? There are many website strategies you can use to help you out here. Using keywords is one way to optimise. Take steps, too, to get your site linked on already high ranking websites. Links are currency, and the more out there, the higher your site will appear. Keeping your website up to date is essential in keeping customer interest. There are pages that you won’t want to change but think about setting up a blog on your site which you change often. Customers are more likely to return if they know they’re going to see something different. Think, too, about the quality of the content you’re putting online. Once it’s out there, it’s hard to undo any damage. Only post things you want to be associated with your business. Bear in mind spelling and grammar before posting. Remember, this content is going to a direct link to your business. If you can’t get that right, customers will soon lose faith! Marketing Tips: What’s the Purpose Of Your Website? Starting a business, needs a strong leadership team and while we’re on the topic of leadership, there really is, never a time, when a business, can get away with any but, a great leader at the helm. There is too much at stake, for all businesses; irrespective of their rank or maturity. Some of the areas that take a hit when the business lacks direction led from the top include: loss of market share, loss of key staff, and loss of revenue. There are many key attributes of successful leaders, too many, to list all of them, so here are our top 5, in no particular order of peference. How important is confidence? We believe it’s in the top five and should be honed and mastered by all management and really everyone. Confidence in your own actions and the abilities of those around you, especially the workers in the business, is a sign of a leader who is at the top of their game. Communication is a leader’s tool. They use it, to pass on a message, not just one time, but regularly to make sure there is belief. They will do it in meetings, conversations, and verbal and written content. Leaders that stand out use social media, blog posts, interviews, you name it, if there’s a medium available and the opportunity is there, it will be taken because leaders of this ilk know they need to articulate their belief in what the business is doing, and where it’s going, on an ongoing basis. There is never a time a business owner or manager can let up on this action even when the business reaches dizzy heights of success, the rhetoric flows on. Competitors are always looking to topple the number one, there is no time to take the foot off the accelerator, i.e. confidence needs to remain up and positive so everything else can hopefully perform at its best. Self motivation gets things done, not only by you but also by your team. If you’re not driven and it shows, your business suffers. Productivity depends on your motivation and that you inspire both in your leadership team and workers to do more and be better. Leaders have to stand out in front to get this respect. Everything you do both good and bad will dictate what happens next. If the business owner turns up to the work environment, late all the time and then leaves early too plus take long breaks in between, it’s not sending the right message to everyone in the business. All leaders good or bad are leading by example. Make sure you’re consistent in your behaviour and this leads onto the next attribute – allegiance and devotion. Just how committed are you to the business? As a strong leader, showing passion and conviction particularly in your communication, is how great leaders stand out from their peers. 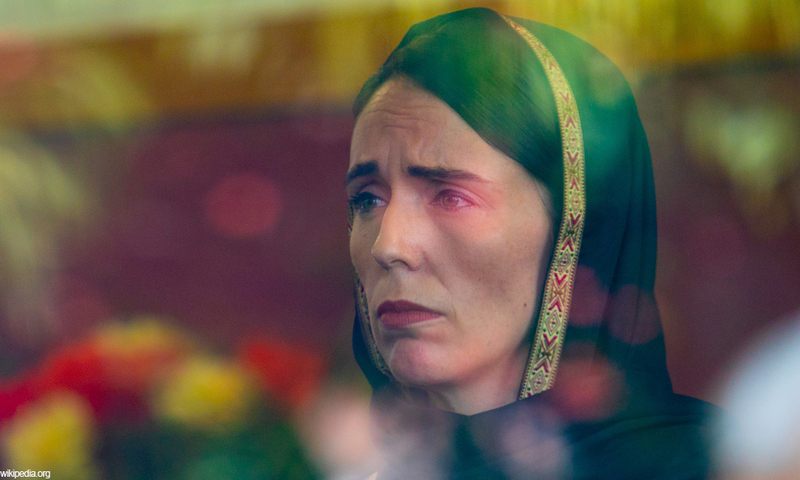 There are similarities between running a business and running a country; so when disaster struck in New Zealand recently, namely the Christchurch mosques shooting; Prime Minister Jacinda Ardern demonstrated many of the four pillars of leadership including conviction. When times are bad, good leaders stand up to be counted. They set the tone, others will emulate and often impersonate. These leaders also take action, but not just any ole action, they take action that is a game changer. New Zealand’s Prime Minister said the gun laws will change quickly and they did within a matter of days and that’s impressive leadership. There probably is an element of luck in most decisions however good judgement is also a major part and great leaders know how to make the right decisions at the right time. They are collaborate in their decision making process, seeking input from their peers and they are likely to deliberate long and hard before arriving at a conclusion. This trait is far from impulsiveness and a tendency to ‘wing it’ like some leaders we all know. While it’s a given that we expect all leaders to have integrity, and they can be trusted with information and in their dealings, there are plenty of examples of leaders taking advantage of their position at the expense of their business and those near to them. There are many more key attributes all leaders can aspire to possess in great quantities. What’s inspiring to all of us is when there is a real example of outstanding leadership. 3 Traits of the ‘New Leader’: Do you have them? When student Ben Francis started selling screen printed clothing from his garage 6 years ago, he would never have thought his startup would grow into one of the biggest brands in fitness. Today, Gymshark is supported by millions of social media followers and boasts customers from over 130 different countries. Success stories like Gymshark’s demonstrate that setting up your own business at University is definitely possible and may lead to massive success. 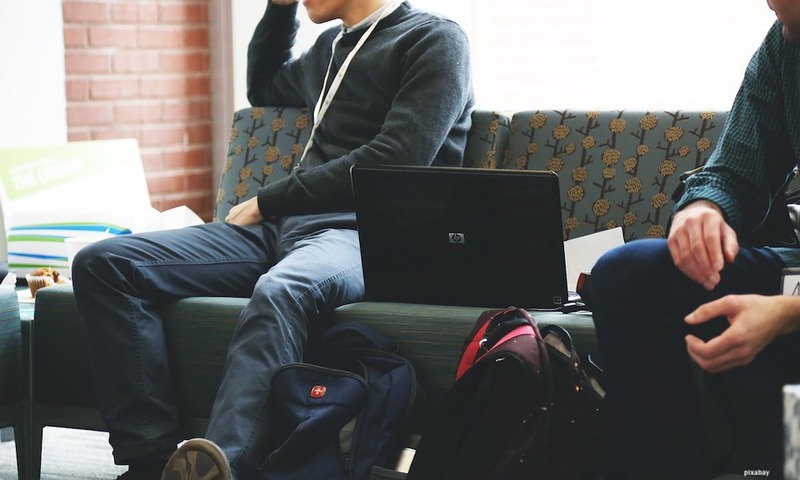 Being at University is a great time to set up your own business- University students have more free time, fewer commitments and there are a wealth of resources and organisations designed solely to support young entrepreneurs. Selling t-shirts online has become a popular business model and offering a customisable aspect by printing personalised designs is a great USP. For University students, starting a t-shirt printing business is an inexpensive way to start a business while studying. Don’t worry if you’re not currently taking a business or marketing course, as there may be optional entrepreneurship classes you can take at University to train you for the world of business and give you startup advice. There are many resources on the web to learn how to run a t-shirt printing business and more pointedly how to create customised prints, including this insightful blog post on how to embroider logos on workwear. 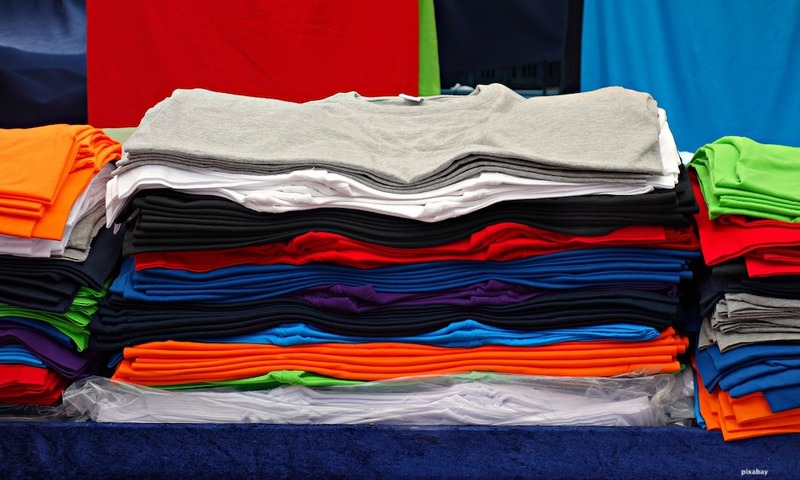 For setting up a t-shirt printing business it is important to do research into the industry and competitors as well as into the potential market. When it comes to the t-shirt printing industry, there are a wide range of potential customers so be sure to think about who exactly you want to be selling to. 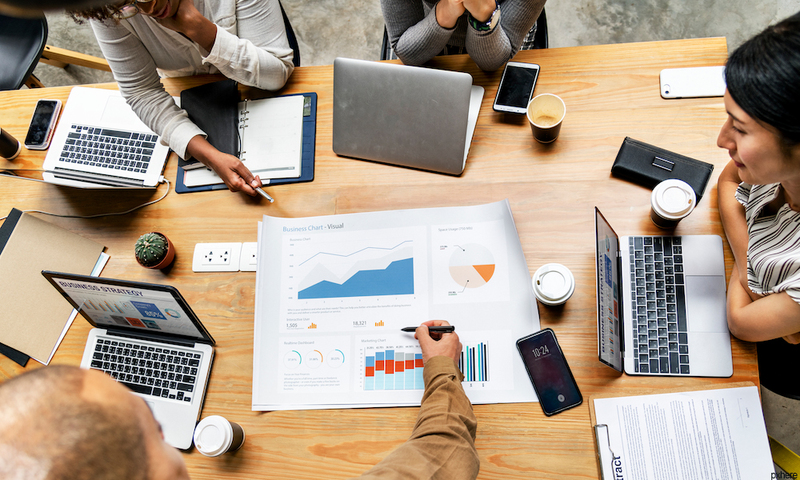 Creating a business plan is an important part of setting up a new business as it is a good way to explore the feasibility of your new business and is essential if you will be seeking out external financing. There are many ways to raise startup funding including business incubators and accelerators, angel investors and venture capital firms, and investment from friends or relatives. Consider researching into small business grants as there are thousands of grant schemes in action across the UK and many will be eligible for University entrepreneurs. The main sources of grants are from the UK government, the European Union and your local authority but they are also offered by Universities, charities and corporates. It is worth researching into all of these before making a decision. Another great source of funding is the Prince’s Trust which is the country’s leading youth charity programme, who offer financial help and business support for entrepreneurs aged 18 to 30 in England, Scotland, Wales and Northern Ireland. Another financing option is The Start Up Loans Company which is a government-backed scheme helping individuals start or grow a business in the UK. The Start Up Loans Company allows you to borrow up to £25,000 to start a business for a low fixed interest rate of 6% per annum. Search out support channels such as your University’s business resources and alumni network. You could also reach out to other entrepreneurs and local businesses to gain advice on entrepreneurship and useful contacts. Research into any meetup groups and network/ startup events in your area to widen your network. To save you money be sure to make use of any free resources, including those provided by your University. Your University may have databases, contacts, workshops, and more that you can use while still studying. Another great asset is the people around you- fellow students, lecturers, tutors etc. Reaching out to others for advice or opinions can be of great use when setting up a business and you may even find a business partner. There are also a few charitable organisations which you can use such as the The National Association of College and University Entrepreneurs (NACUE). The NACUE is an organisation for students in enterprise and has a UK network of over 260 students and enterprises. They support and connect student entrepreneurs through student-led enterprise societies, practical programmes and events. Is Your Business Spending Too Much On Printing Costs? Content is an umbrella term for all written and visual elements on websites. It gives value to your site and business, and developing the right content strategy is essential in digital marketing. You need to have a solid plan based specifically around your niche. Too many companies produce generic content that just isn’t right for their customer. If you can provide value and connect with your audience content will become a key driving force in your business. Take these business marketing resources for example, which pull together relevant resources and allowing businesses to create content that resonates with their target audience. In this post we will look at five reasons why you need to focus more on content when it comes to your online marketing strategy. Your content shows your audience that you know what you’re talking about. Blogs, for example, can position your business as an expert in the industry. The less confused an audience is, the more they stay engaged. People will see that you can provide value and help them make the right decisions, making them more likely to want to work with you. Creating great content is one of the best ways to reach your audience, but how does anyone find your content to begin with? Ranking in Google can help you achieve this. Utilize SEO best practices and keywords in your content to help Google find your pages faster. You can also submit URLs individually to Google to speed up the process. When you create excellent content, others will want to link back to you. The best case scenario is when sites of authority link to one of your blog posts or articles from their own website. This is one extra way that your potential audience can find you, and also helps a lot with SEO. In a time where social media rules our daily lives, shareable content is key to getting noticed. This is a main reason why interesting content should be a part of your digital marketing strategy. There’s no excuse for businesses not to have social media accounts, but you don’t need to be using all of them at once. Instagram and Pinterest are the best for visual marketing and particularly useful for retailers and creative businesses. Through the re-pin function on Pinterest, for example, your product images can really take off. On LinkedIn, you can post full blogs and grow your connections in your industry. On Twitter and Facebook, you can be found through hashtags and tags from others in your existing audience. Once you’ve created the best content you can, how can it lead to conversions and new customers? Always end your content with a relevant call to action. What is the next move you want people to make after reading or watching your content? This psychological nudge focuses on the individual and encourages them to act. Incorporate conversion rate optimization even further through in-depth analyses, which can be done by a digital marketing agency. The New Year is now almost here, and it’s this time of year that many people make a resolution to commit to changing their life for the better. Now, if you’ve been sitting on a business idea for some time but have let the fear of failure hold you back – chances are you will be one of the many nascent entrepreneurs cracking out your shell in the New Year. This time of year has a wonderful energy that you can ride, like a wave, in terms of getting things done. We all know that come New Years day there will be an abundance of people jogging in the park, and similarly, behind closed doors, there will be an abundance of people working on their business plans – getting ready to launch into the new year. In this article we’re going to look at 10 things to consider when starting a new business, some of which are about your goals and other are about the business process itself, such as the need to carry out due diligence uk and adequate market research. As the New Year approaches, many people are starting to reflect on their dreams and consider taking action on things they have been putting off for many years. Whilst starting a business isn’t a New Year’s resolution in the conventional sense, it is certainly in the spirit of the energy and optimism the new year brings. In this article, we’re going to take a look at some of the most important factors to consider if you are starting a business in the new year. The first question to consider is: what is your “why” in terms of what is the reason you are wanting to start a business? What feeling will this give you that you crave? How will this improve your life? For many people, the idea of setting up a business represents the opportunity to make a lot of money, feel more independent, be their own boss, live life on their terms, and feel more alive as a result of being more in control of the outcomes they produce. We all have basic emotional needs… for instance, the need for “certainty and stability”, “love and connection”, “variety” and “contribution”. A business is a great way to meet these emotional needs – yet, you need to get really clear on what is your prime driver and motivation, as sometimes there is a better vehicle to get you to where you want to be. It’s all about finding the best vehicle to get you from where you are to where you want to be – and it’s imperative you consider what vehicle is best for your particular goals. For instance, let’s say that you want a life of “freedom” where you get to travel the world for six months each year, during winter. You therefore, think about setting up a guest house that is seasonal, so you live and breathe the guesthouse, for the summer months, and then travel the world the rest of the time. This doesn’t sound like a bad idea. However, if you were planning to open a retail shop or restaurant – it might not be such a good vehicle to meet your true desire of having the time and money freedom to travel the world. You therefore want to ensure you are choosing the most optimal vehicle to get you where you want to be, and think outside the box on this one, for instance, if you wanted to travel the world – what you really need is “passive income”, which is income generated from activities that don’t require you to trade your time for money. A good vehicle for this would be to own a number of properties and rent them out. In fact, going down the property development route might be a better vehicle to have the freedom to travel six month a year than the hassle and risk associated with running a guest house. In summary, you want to get really clear on WHY you are wanting to start a business, and make sure it’s the right vehicle to take you where you want to be. We often make assumptions that setting up a business is going to offer a particular lifestyle, and there’s a tendency to look at this through rose tinted glasses. This means that our expectations are often unrealistic, and what we expect to get as a result of setting up a business is often not aligned with the reality. For instance, many people assume they will make a lot more money in owning a business rather than being an employee, yet, if we take the example of a small business owner such as a makeup artist, accountant, or consultant – we can see that the sole trader has gone from having the certainty and security of a monthly wage, which is consistent and secure, where all they have to do is perform their particular role. In contrast, the makeup artist, accountant or consultant not only have to practice their trade, but they have to wear several different hats, and work MANY more hours on different aspects of the business in order to “get by” let alone thrive. The stress, anxiety and financial strain put on your life, and the lives of your family, can take a toll on you. The notion of a “weekend” often goes out the window, as even though you might physically take the time off, it can be hard to switch your brain off – as you are often thinking about your business. There are huge benefits to starting a business, however, on the basis that you will have the freedom and independence, as well as the wealth, you crave if you stick with it and turn your business into a success. 3. IS IT GOING TO FLY? Perhaps, the most important question of all, is whether your business idea will fly – in the sense of, will your business idea work out or not. This highlights the importance of market research and carrying out due diligence in terms of the business decisions you make. There’s an absolute need to prove the market, before investing heaps of cash into an idea, as imagine how painful it would be to spend tons of cash on a project that you “think” people want only to find out nobody actually wants to buy it. 4. WHAT DO YOU NEED TO LEARN? The next factor comes down to what you need to learn in order to set up this business. A lot of people make mistakes when starting a business, and there’s nothing wrong with making mistakes – indeed, it’s how we all learn, yet, in business, mistakes can be expensive to the point you could lose a lot of money. You therefore want to consider all the things you need to learn, before taking the plunge, as it’s better to avoid mistakes and “be prepared”, as the Scouts say, than blindly move forward. The challenge many investors cite to new entrepreneurs is that they don’t know what they don’t know – and as a result, they aren’t always prepared for the challenges ahead. They are naive in their thinking and this naivety can cause huge problems, and huge problems can cause such significant financial loss that people find themselves close to bankruptcy. You therefore want to write a list of all the things you need to learn and find ways to close those skill gaps. 5. WHAT DO YOU NEED TO LAUNCH? The next question comes down to what you need to launch. In this sense, you want to consider what is the minimum you need to launch your business – as you don’t want to overspend on unnecessary items, such as fancy business cards, when a basic business card might do. Today, for most businesses, a website is critical to their success. It is the new “shop window” that positions the value proposition behind your idea so that people understand what it is you do and why you exist. It also provides a platform to contact you and do business with you. A website, in addition to a social media profile are at the core of most basic start-up strategies. You then need to consider what you need in terms of space, for instance, can you work from home or do you need to hire premises. Will you need to hire staff? What tools, machinery or systems do you need in place? When it comes to starting a business, many people start by working from home which is a great choice as the cost of premises can be very burdensome to start-ups and the last thing you want is a high fixed overhead that you are committed to. You want to remain as agile and flexible as possible in the early days. The same is true of staff, some people feel the need to go out and employ staff in order to have a “proper business”, yet this often causes unnecessary financial and administrative burden… a better option is to outsource tasks to freelance contractors, as this way, you can retain control of your budget – and only pay for the work you actually need. Paying for things on a task-by-task basis is a much more streamlined and efficient approach for the majority of start-ups, than paying a fixed monthly salary. Starting A Business? Doing It With Efficiency! Digital marketing has risen to prominence as one of the most critical aspects of every business. If you don’t have a good digital marketing campaign set up, then you’re going to find it hard to be as successful as possible. You must have a strategy in place that revolves around driving traffic to your website, improving your SEO, converting leads, and so on. Without this, you’ll never unlock the real potential of your brand. Best Digital Agency For My Business? Almost every business will have a digital marketing provider that they call upon to help them with this side of things. Understandably, you want to have the best agency around to ensure your business has a winning strategy. As such, many business owners continuously ponder whether or not they’ve made the right decision, and if they should change their digital marketing provider. To answer this, you really need to think about what makes one digital marketing agency better than the rest. Do they have a specialty in one field? Have they got experience to back them up? There are plenty of things to consider, and here are a few thoughts on what it could be that tips the balance in favour of one marketing agency over another. The first thing to think about is whether or not your digital marketing provider should have specific expertise in one or all of the core areas of digital marketing. If one digital marketer is an expert in these core areas and another one isn’t, does this automatically mean the first provider is the better option and you should switch to them? Not necessarily. The preceding point about online advertising, social media and email marketing being the staples of digital marketing, is the underlying test of whether you need to replace your provider immediately or seek more information on their overall suitability for your business and it’s aspirations. Content Creation and SEO and measurement maybe the skills your provider outsources to ensure a deeper level of understanding and expertise is provided. Do They ‘Walk The Talk’? If you’ve not heard the phrase ‘walk the talk’, then allow me to explain. A lot of digital marketers and digital marketing agencies will talk a lot about what they can do and what they’re great at. This is all well and good, but where’s the evidence that proves they’re as good as they say they are? If someone can ‘walk the talk’ it basically means they’ve showcased their abilities and proven that they don’t just talk about the service they offer, but they actually do it as well. This links into what assets you expect an expert digital marketer to have. For one, you should be looking at experience to prove that they’re capable of doing the job at hand. If they have numerous case studies of previous clients that show they’ve taken them from a pretty lowly place to a good one, then this is an excellent indication that they walk the talk. Conversely, a marketer that lacks any experience may be seen as too much of a risk for your business to take as there’s no proof of their skills. However, you shouldn’t just look at previous work experience as the only proof of someone walking the talk. Also, take a look at the provider in question and see if they have their own successful marketing blog. This should be a given considering they’ll probably claim to be digital marketing experts. Along with the blog, they should have a whole host of regular articles that get plenty of clicks and views. Not only that, but the blog itself should perform well in search engines and receive loads of traffic. This goes a long way to showing someone walks the talk as they’re clearly capable of creating a site with great SEO and plenty of traffic; precisely what your business is after. Furthermore, you should do some digging into their social media profiles as well. Are they active on the most popular social platforms and making use of the unique features on, say, Twitter or Instagram? If they’ve got a strong social media presence and can engage with their followers, then this bodes well for you as it’s a clear indication they know what they’re doing. Your business needs to look for digital marketing providers that can prove their expertise and clearly show you that they’re good at what they’re doing. Whether this is through their own blogs and social media channels, or via case studies of previous clients; just make sure they walk the talk. An expert digital marketer doesn’t necessarily need to be an expert in every single aspect of digital marketing. As long as they surround themselves with people who have expertise in the central areas, then that’s all that really matters. If you’re searching for a digital marketing agency that claims to be experts in every single aspect of marketing, then you’ll be looking for a very long time. Most will focus on one area, and may even outsource to other expert marketers to take care of other specific parts of a campaign. Realistically, you should look for a provider with a specialty that your business deems the most important. If you’re really struggling on social media, then find a social media expert. If you desperately need SEO improvements, then look for SEO experts instead. But, all the time, make sure the marketer can walk the talk and is passionate about the work they do. The great thing is, a marketer with their own blog or with an active social media presence talking about marketing, will obviously be passionate about their work. So, should your business change its digital marketing provider? If they can’t walk the talk and you don’t feel that they’re passionate about their job, then yes, you should. Entrepreneurs in the modern world need to think about how best to get ahead of the game. There are a lot of things you need to keep in mind when you are a business owner, and if you want to be a successful entrepreneur you have got to understand the areas of the business that matter the most. When you run a small business, you need to understand and appreciate that this is a complicated venture. So many businesses in the modern world end up failing after just a couple of years. If you want to be more of a success and keep yourself ahead of the game, it is important to plan and prepare. The most essential thing to do is to focus on the 4 most integral areas of running the business, and these are the most important examples. You need to make sure you are marketing and promoting your business as much as you possibly can. There are a lot of different marketing techniques that you are going to need to use to get the most out of your business success. Digital marketing is probably going to be the best and most effective form of marketing a modern business. Hire a team of digital marketing experts to pioneer your company’s marketing strategy. There are a lot of issues that can affect a business, and finances rank among the most important. You have to understand that everything you do as a business owner is going to cost money. So it is essential that you try to improve the way you use your finances and try to bring more money into the business. Getting a business loan is so important for modern entrepreneurs, and you have to think about how you can increase revenue and generate more sales for the company. Your business has to have a strong health and safety mandate because otherwise, your employees are going to be at risk in the workplace, and the company is going to face legal problems. This means you need to ensure you provide a safe working environment, keep your staff well trained, and provide protective gear like helmets and masks. Don’t let your business suffer as a result of health and safety problems; take action now to sort this out. It is also hugely important that you study and understand your competition. There are loads of things you need to keep in mind that will help you to get an edge over your rivals. If you want to be as successful as possible, you need to understand what your business rivals do well, and what they do badly. There are many things you need to assess, and the better you can understand your rivals, the more you can beat them. These are 4 of the biggest and most important areas of running a business, and they are the things you need to get right. There are a lot of different areas of your business that are going to need your attention as an entrepreneur, but these are some of the most important.